Blog - The importance of answering a telephone call. The importance of answering a telephone call. 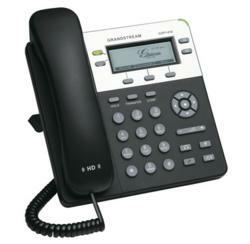 How important is it for a telephone to be answered in business? I recently connected with someone via twitter –I liked their tweets and felt comfortable in contacting them direct to ask for a quote. So I dialled the telephone number and was surprised by the call diverting direct to a standard O2 voice mail. Unfortunately the image and credibility of the company was dashed. I can now understand the figure of 79% of callers will not ring back if their call goes unanswered! As a company I help companies to gain more new customers by providing data for their direct marketing activity whether that’s direct mailing, telemarketing or email broadcasting. However it doesn’t matter how much time you spend on your marketing plans or how much money you spend promote your business if there’s no one there to answer the telephone then what’s the point? How many Sales are you missing? Previous Post (p) Direct mailing - Tips to help you update your international records.